When we start dealing with fundraising, a question quickly appears: should we raise from a Venture Capital fund or a Corporate Venture fund? This article explains the differences between these two kinds of funds and the impact it can have on startups. 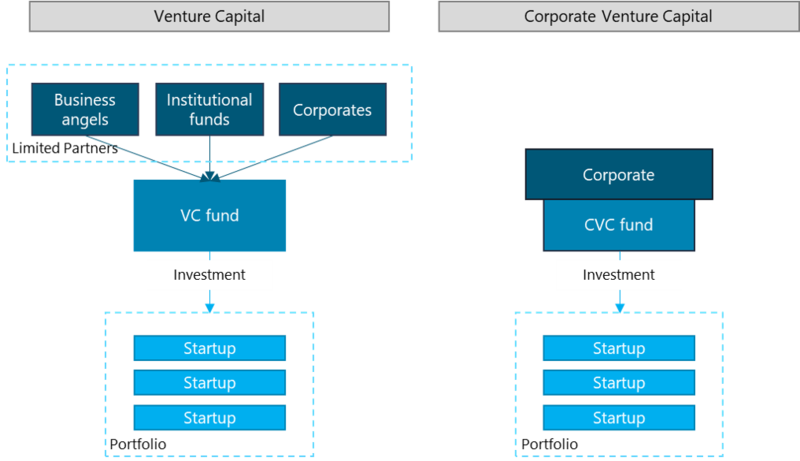 So, what is Corporate Venture Capital (CVC) ? Corporate Venture are funds that are fully owned by one company willing to invest in startups for many reasons (we’re going to tell you why). Like a classic VC fund, they have a dedicated investment team and they operate the same way. Basically, Corporate Venture funds are like Venture Capital funds with only one Limited Partner: The Corporate itself. This organisation can have lot of consequences for the fund as well as for startups invested in. The main objective of VC funds is to have a good return on investment (ROI) in order to satisfy their investors (which are multiples external LPs). Thus, they will highly focus on optimisation or the internal rate of return (IRR). In order to do so, they will try to accomplish good exits like IPOs or buyout from another funds or a corporate. Quite often, Venture Capital funds will bring their expertise and support the startup of their portfolio in order to accelerate the growth (which will hopefully generate a higher IRR). While it is important, financial return is not always the main objective of Corporate Venture funds. They are less focus on IRR because they have other way to create value. Indeed, Corporate Venture investing into startups will try to create synergies between portfolio companies by sharing technology, know how or by doing business partnerships. These synergies should lead to value creation for both startup and corporate. Corporate Venture funds usually make investments into startups in order to generate strategic value first. Venture Capital funds play an active role when dealing with corporate governance. They wish to support the startup and have an impact on strategic decisions. They will ask for a control – in proporation with the amount invested – in order to limit the risk and having the ability to impact the strategy. On the other side, Corporates tend to be less concerned about scalability. They are more focus on strategic value creation by giving advices and resources. While strategic control from a VC over a startup can be high, it is important for the startup to be backed by people who can bring a deep understanding of the market they target. Venture Capital funds have time constraints towards they Limited Partners. Generally speaking, VC have investment horizon between 7 and 10 years. After what, they have to find exit opportunities for their investments. Corporate Venture funds can be “evergreen” which means they don’t have any investment timeline and they can follow the stratup in the long run. This is an important benefit for a startup. But the downside is that the strategy of the fund belongs to the Corporate and can change anytime according to its leadership. Exits opportunities are the same for a startup backed by a CVC or a VC. However, with a CVC, if there are lots of synergies activated between the startup and the corporate, it can lead to a buyout by the corporate itself. By the way, building a pipeline to M&A can be part of the Corporate’s strategy. Being backed by a corporate can afraid other actors in the industry to engage discussion about potential buyout. If a startup want to avoid such situation they can negotiate with the CVC a right of notice instead of a right of first refusal during the term sheet negotiations. Corporate Venture and Venture Capital funds act in a very similar way when dealing with investment decisions and organisation. But their investment strategy can differ. While Venture Capital funds have mainly financial goals, Corporate Venture will seek for synergies for value creation. Being backed by a Corporate Venture fund can generate a lot of benefits for a startup: strategic partnerships, access to new market opportunities, access to expertises etc… The startup will also benefit from the corporate’s brand reputation and gain consideration towards customers and prospects. 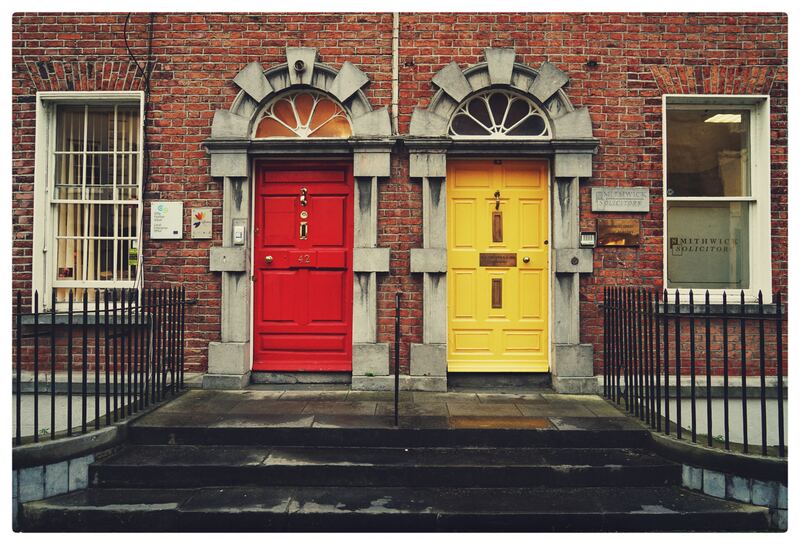 Newer Post Private Equity vs. Venture Capital Older Post Why create a Corporate Venture fund?